. For more options, like pottery, hand blown glass, and copper wind sculptures, be sure to check out Firemouth Pottery and Gallery. Looking for that one-of-a-kind necklace for your sister or mother-in-law? Stop by Peeplelures, the largest collection of 14k gold and sterling silver in the Northwoords. For the outdoors man or woman in your family, swing by Coontail - Play in Style. They'll eagerly look forward to warm weather when they unwrap a bike or stand-up paddle board. They might even start training for the White Deer Triathlon! For snow explorers, pick up a pair of snow shoes or cross country skis. Maybe they'll enjoy taking a spin on one of the renowned Boulder Junction ski trails. 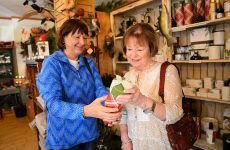 For all of those people that are hard to buy for, stop by Alder Lake Cranberry Gift Shop for some perusing and inspiration. 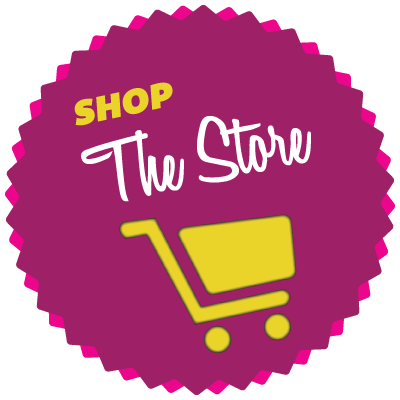 This store has everything — apparel, decor, kitchenware, soaps, salsas, jams, and even beer and wine! We all know that this time of year is more about presence than presents. But presents are kind of fun too, aren’t they? Especially when you can make a day of it and find something for everyone on your list. It’s no wonder shoppers choose to support the small and family-owned businesses in Boulder Junction. Not only will you receive personalized customer service, but each store exudes a charming character that’s bound to coincide with the personality of one of your loved ones. Are you married to a rugged outdoors man? Is your neighbor a kitschy knick-knack hoarder? Is your cousin a worldly art-collector? Spunky fashionista? Adventurous thrill-seeker? The shops in Boulder Junction carry a variety of items so that you’ll easily spot gems for every character in your life. For your favorite art-lovers and home decorators, there are plenty of creators and curators in Boulder Junction. You’ll find a unique contemporary art at Moondeer & Friends Gallery. For more options, like pottery, hand blown glass, and copper wind sculptures, be sure to check out Firemouth Pottery and Gallery. For the outdoors man or woman in your family, swing by Coontail – Play in Style. They’ll eagerly look forward to warm weather when they unwrap a bike or stand-up paddle board. They might even start training for the White Deer Triathlon! For snow explorers, pick up a pair of snow shoes or cross country skis. Maybe they’ll enjoy taking a spin on one of the renowned Boulder Junction ski trails. And the shopping adventure doesn’t stop there! 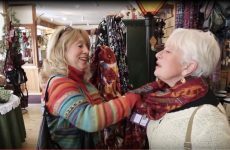 For a complete list of all the great stores and shops in Boulder Junction, look here. 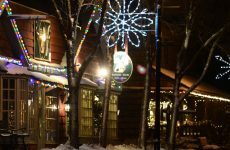 When you’re famished from your gift excursion, fuel up at these local Boulder Junction restaurants — because after you’ve been so generous, you deserve to treat yourself.